Microsoft is removing the official download links for Windows essentials from their website. They are doing this to promote the use of Universal apps in Windows 10. If you are a long time Windows user, you may have heard about the Windows essentials suite. 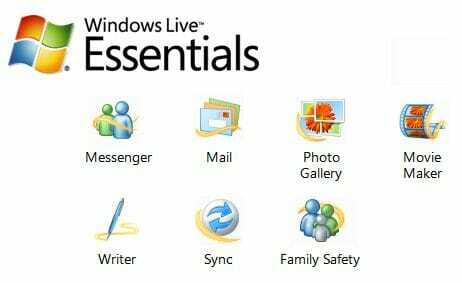 It is an app package which consists of a few productivity apps like Movie Maker, Photo Gallery, OneDrive, Family Safety, Mail, and Writer. The apps like Writer and Movie maker are very useful and work flawlessly in Windows. If you like to write but don’t have the full-fledged Office suite, then the Live Writer is an awesome tool. Similarly, the Windows Movie maker is a very useful tool for those of you who want to edit simple video clips if you don’t have something like Adobe Premiere Pro. To push the new universal apps to the Windows 10 users, Microsoft is discontinuing the essentials suite. Of course, the download links are live at this moment, but they are going to get removed pretty soon. If you find any of the apps present in the essentials suite useful, you can download the whole package from Microsoft right now. The EOL for the suite is January 10, 2017, which is not too far away, so hurry up if you find the essential suite useful.